Mercury and heavy metals exist in our bodies. You don’t have to eat tuna or fish from Lake Superior 5 times/week to be at risk. And there isn’t enough media attention on this yet. So, read this and be aware of the risks of how mercury can truly change your balance and make you susceptible to disease. 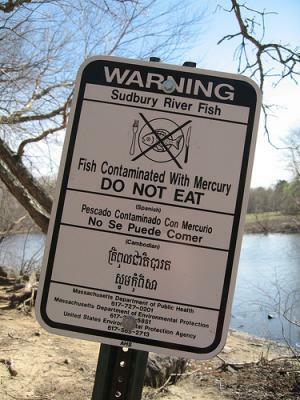 There’s no way to avoid exposure to mercury. It is a much larger problem today because of 20th century technological advances. If you think back to centuries ago, the pollution, power plants and industrial waste didn’t exist the way it does today. The Industrial Revolution brought coal, which was thought of as a huge step forward in keeping people warm. But… guess what? The downside is that when you burn coal, mercury is released into the environment. Coal-burning power plants are the largest human-caused source of mercury emissions to the air in the United States, accounting for over 50 percent of all domestic human-caused mercury emissions. We need to move towards safer ways to provide power. Mercury reacts with proteins in the body to create a new heavy metal/body cell molecule, which is basically a half human/half heavy metal complex. This creates a molecule that the body recognizes as foreign, and because our bodies are programmed to attack foreign material, the immune system reacts against it. So, you have situation, like mine, where a normal platelet cell is attacked and destroyed because my immune system was confused by the heavy metal in my body. If you don’t understand the effect mercury can have on a person, read some of the research Dr. Kenneth Pollard at Scripps has done. Other sources of mercury are dental amalgams and immunizations (thimerosol) we received as children. The amount of thimerosol has been reduced in recent years, and most dentists no longer use amalgam containing mercury. Good for our kids, but too late for most adults. Personally, I am convinced it created the environment in my body where my immune system went haywire. Did it cause my breast cancer? I can’t be positive, but the fact that removing the mercury over the last five years has just happened to coincide with my skin having less rosacea, my platelet count returning to normal, my insulin resistance improving and no recurrance of cancer seems to indicate that at the very least, it has improved the quality of my life considerably! Humans were not created to host heavy loads of toxic metals. One final thing. If you want to know if you have too much mercury, do not rely on a blood test. They do not give an accurate picture of your “body burden” of mercury. Only a test using a provoking agent will do that. (Read Dr. Hyman’s articles below for a description on how to do that.) And finally, due to our genetic makeup, some handle a burden of mercury better than others. Some people (like Mark Hyman himself) are missing a gene (GSST) that helps to allow glutathione, a powerful anti-oxidant, from removing heavy metal from the body. Pocket Card of Safe/Unsafe Fish click about halfway down the page on the “pocket wallet card”, print it and keep it for when you’re shopping! Another excellent book is Donna Jackson Nakazawa’s book on The Autoimmune Epidemic If you know anyone with an autoimmune disease (lupus, ITP, rheumatoid arthritis, fibromyalgia, etc. ), read this book!